Have you ever wondered if Yelp reviews could actually be beneficial for your business? Are you worried about trolls impacting your digital brand? Read on to conquer any Yelp fears you may be hiding and give you the confidence to get started. Yelp was created to showcase your business and connect you with the Yelp community. They wanted to make sure that no great businesses were left in obscurity on the Internet. If you have a great business, then everyone should know about it, right? I guess the same goes bad businesses as well, but you get my point. No matter what if you have a business you need to be on Yelp, especially if you have to manage your reputation. Yelp was made to help businesses exactly like yours. They offer free accounts for businesses and make no money from businesses or reviewers. Its a relatively risk-free situation to increase visibility of your business. Yelp reviews can be extremely beneficial if you use it correctly. Follow its guidelines and the directions outlined in this post, and you’ll be in a great spot to promote your business. There are many myths surrounding how much reviews impact businesses. Some people think that only people with negative opinions will write reviews. However, studies have shown that 75% of reviews found online are positive. Another common misconception is that the average consumer doesn’t read reviews. This hasn’t been found to be the case either, with 90% of consumers stating that they made buying decisions based on positive online reviews. There are many myths out there that simply aren’t true, and regardless of what you believe you can only increase your visibility with Yelp reviews. I find that a restaurant’s average rating has a large impact on revenue – a one-star increase leads to a 5-9 percent increase in revenue for independent restaurants, depending on the specification. Increased revenue means increased profits, right?! So the increased visibility has tangible results that will improve your business. Don’t let silly myths keep you from this potential increase, especially when almost all of them have been proven wrong! A benefit that Yelp reviews offer is that they have the option to link your businesses website to your site on Yelp. You can also offer your customers incentives for reviewing your company. Yelp offers Yelp deals. Using this service, you can give away coupons and discounts to people who find you using Yelp. Yelp does take a small portion of this benefit, but they offer you higher ranking in their search results if you use it. With a higher ranking, you’ll also have a better likelihood of earning more reviews which will only push you higher! It’s important for you to understand though that ranking results take time. Your efforts will pay off if you keep working at it, so don’t give up even if the results aren’t immediate. It will happen, just work hard and be patient. Trolls love the anonymity that Yelp can give them. They can be found leaving lengthy negative reviews that often have nothing to do with the actual business. Website owners live in fear that a troll will find them and obliterate their website. Don’t let this fear keep you from using Yelp! So now the question becomes: what can be done about them? The first thing to do is nothing. Don’t say anything to the troll. Don’t leave a comment on their review about how wrong the trolls are. This would only egg them on and make things worse. It also makes your business look bad. It could look to customers like you can’t take any negative criticism, which won’t make the customer feel like coming to your business. Another thing to do is to monitor your Yelp reviews. Pay attention so that you can immediately handle negative reviews as they happen. Deal with the ones that are real. Real complaints should be talked to and remedied, that is how you can improve your customer base. Troll reviews can be reported to Yelp though if you respond quick enough. When trolls get to you, you should also build your Yelp community. Generating a large base of reviews will make a troll’s comment insignificant. You’ll need to be careful with how you do this though. Too many reviews in too short a time will look bad if they go through, which they may not. Yelp’s algorithm will weed out any reviews that they feel are playing the system. This also applies to too many reviews from the same IP address, even if they’re different customers. Be sure to up your game when you get a troll. Don’t let other customers that come in have an experience anywhere close to what your troll described. Continue in business as usual but with an increase in customer service. Focus on the real people that come in and make them feel great. Continue to provide great products and great service, regardless of trolls. Not everyone will like you. That’s just how life is. However, with these guidelines, you’ll be able to handle trolls correctly and move one with your business in a positive light. Encouraging Yelp reviews can feel difficult because it’s against policy to just ask for them, so what do you do? One option is just to give your customers a head up that you’re on Yelp. Telling your customers ‘check us out on Yelp’ isn’t outright asking for a review, but it does let them know that they can find you on Yelp. 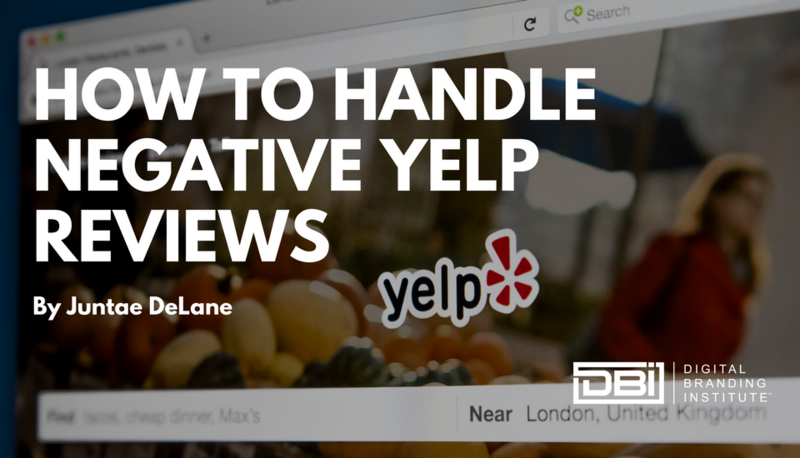 You can also add a Yelp badge to your website. This is an easy button that your users can click to give you a quick review. Adding this would be a great way to remind people to review your business without having to ask them. People like to have easy options; they don’t want to have to pull up a website by themselves. Another easy addition that can generate Yelp reviews is to add a ‘Find us on Yelp’ sign on your business. This can be a simple sticker left in on the window next to the front door, or even on the door itself if its glass. It will serve as a great reminder to your customers to thank you for your service with a positive review. With enough positive reviews, you can even get a sticker from Yelp that says ‘People Love Us On Yelp’. Only certain businesses can get these stickers, so it will help your business stand out if you can get enough positive reviews to qualify for one. Plus, Yelp will send the sticker directly to you! You don’t even have to ask for one! They want to form a symbiotic relationship with the businesses with positive reviews because your positive reviews reflect positively on them too. Yelp reviews are a great way to boost your business. They have clear rules and clear results. With a little effort on Yelp, your business will soar and gain greater popularity than by word of mouth alone. Increase your brand’s visibility and ignore the trolls. There will always be a small percentage of people that don’t like you, and that’s okay! Therefore you should just address what is relevant and ignore the rest. You will build a stronger digital brand as a result.